If you’re living in a “seller’s market”, you may find that some real estate agents have lost interest in your home staging services. You know that their clients can still benefit from your services, but how do you motivate these agents? What is a seller’s market? A seller’s market simply means that there are fewer homes for sale with a large number of buyers looking to purchase. This offers a great advantage to home sellers as this can drive housing prices up, and most house are sold with multiple offers. Buyers will be quick to move on a property that they are interested in, and will work to present the most appealing offer possible in an effort to secure the property. This can be a game-changer for almost any real estate market. Here is where you come in as a home stager – in a seller’s market, homebuyers are often purchasing at the top of their purchasing power. 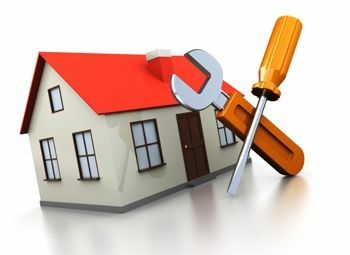 This means that most buyers will have very little funds available, if any, to spend on any additional renovations or repairs upon purchase of the home and therefore the importance of a move-in ready home is higher than ever. 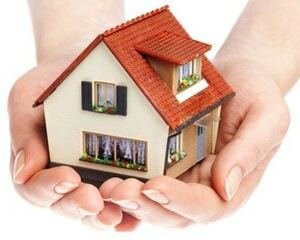 Homes that are prepared properly will net the greatest return and largest quantity of offers. Regardless of the market, most buyers have one thing in common – they do not have the time, nor the desire to perform work on a new house, and thanks to popular television shows, a buyer’s expectations of a move-in ready home have never been greater. A professionally trained home stager can help to identify hidden value in your home. Home Staging utilizes merchandising techniques to showcase the best features of the home. The goal of home staging is to clearly define the space, show proper scale, and create an emotional connection for buyers – this results is higher quality offers and is achieved through the necessary updates and repairs, proper furnishing, arranging, accessorizing, and essentially, merchandising of the space. A home stager can help to identify the most cost-effective updates/repairs to address to help to avoid buyer uncertainty and allow the home sellers to skip any unnecessary expenses. Working as a part of your home-selling team, a professional home stager will provide practical and creative solutions for showcasing your home. Emphasize to the real estate agents that you are a part of their team! The biggest pain point for a real estate agent in a seller’s market is securing listings. Homeowners know that their houses will sell, so they are choosing agents based on who provides them with the greatest value, and who can get them the most money for their home. Home staging is the best marketing tool that an agent can use – you could be the difference between an offer and a bidding war! Savvy agents will choose to present an effective home-selling team to secure their listings. In fact, there has never been a better time to invest in home staging – every homeowner is guaranteed to benefit from your expertise! You can return their support of your business by emphasizing what a great agent they are to work with to the homeowners. By working with you and offering your services, the agent will gain more listings, and in-turn, more referrals. It’s a win-win!